Medical marijuana and legalization have been a hot topics recently. I wanted to cover the plethora of benefits of the endocannabinoid system. Disclaimer: I made sure to only work on this post while vaping CBD. Tetrahydrocannabinol (THC) is the principal psychoactive cannabinoid in cannabis. CBD is a major phytocannabinoid, accounting for up to 40% of the plant’s extract. This is due to clinical reports showing the lack of side effects and non-interference with learning and psychological functions. They also have been shown have antidepressant, anxiolytic, and neuroprotective effects. The endocannabinoid (eCB) system controls emotional responses, behavioral reactivity to context, and social interaction. Enhancement of endocannabinoid signaling can enhance serotonergic and noradrenergic transmission, increase cellular plasticity and neurotrophin expression within the hippocampus, and dampen activity within the neuroendocrine stress axis. Suppresses mast cell activation responses. Plays a role in fear extinction. Increases CCK and ghrelin release. Lowers inflammation and permeability in the gut. May participate in tumor formation in the brain. May Interact with circadian rhythm. Impairs memory and increases fatigue. May lead to obesity and metabolic disorders. Decreases thyroid hormones (TSH mostly). Regulates lipid production and cell death. Inhibit the release of proinflammatory factors. CB2 receptors are expressed in several types of inflammatory cells and immunocompetent cells. Recent studies indicate that a natural cannabinoid of cannabis, specifically CBD, increases adult neurogenesis. Cannabidiol reduced Aβ-induced neuroinflammation and promotes hippocampal neurogenesis through PPARγ involvement. Repeated administration of CBD increased hippocampal progenitor proliferation and neurogenesis in wild-type mice. In mice, chronic THC exposure increased BDNF in the hippocampus, but not the frontal lobe. Activation of both CB1 and CB2 receptors have beneficial effects in Alzheimer experimental models by reducing the harmful β-amyloid peptide action and tau phosphorylation, as well as by promoting the brain’s intrinsic repair mechanisms. CBD inactivated amyloid precursor protein (via activation of PPARγ). Although, THC is a considerably superior inhibitor of Aβ aggregation. In iron treated rats, chronic cannabidiol improved recognition memory in iron-treated rats. CBD may have potential as a preventative treatment for AD with a particular relevance for symptoms of social withdrawal and facial recognition. Adding CBD to AD’s patient’s pharmacotherapy was safe. There have been studies showing no efficacy in AD too. CBD dose-dependently and significantly inhibited GFAP mRNA and protein expression in Abeta injected animals. CBD impaired iNOS and IL-1beta protein expression, and the related NO and IL-1beta release. CBD produced significantly better intracranial pressure/cerebral perfusion pressure control without jeopardizing blood pressure. CBD protects against the vascular damage caused by a high glucose environment, inflammation or the induction of type 2 diabetes in animal models and reduces the vascular hyperpermeability associated with such environments. CBD is protective against PAC-induced neurotoxicity mediated in part by the 5-HT(1A) receptor system. CBD rescued iron-induced effects, bringing hippocampal DNM1L, caspase 3, and synaptophysin levels back to values comparable to the control group. CBD was shown to reduce anxiety in patients with social anxiety disorder (by inducing activity in limbic and paralimbic brain areas). It also helped with public speaking induced anxiety. CBD has anxiolytic and possibly antipsychotic properties. CBD was associated with activation in right temporal cortex during auditory processing. During visual processing, CBD increased activation relative to placebo in the right occipital lobe, with maxima in the middle and inferior occipital gyri, the lingual gyrus, and cuneus. Proper endocannabinoid signaling modulates the HPA axis. Stress-induced downregulation of hippocampal eCB signaling. What is interesting (just like microdosing yourself to stress) is that repeated exposure to the same stress can sensitize CB1 receptor signaling, resulting in dampening of the stress response. CB1 receptor-endocannabinoid signaling is activated by stress and functions to buffer or dampen the behavioral and endocrine effects of acute stress. chronic stress downregulated CB1 receptor expression and significantly reduced the content of the endocannabinoid 2-arachidonylglycerol within the hippocampus. The EC system is suggested to be dysfunctional in mood and related disorders. In comparison to placebo, CBD improved emotional facial affect recognition at 60% emotional intensity. CBD induces antidepressant-like effects comparable to those of imipramine, an anti-depressant. Also, it exhibited an anti-anxiety and antidepressant effects in animal models. Endocannabinoids play a role in blood pressure regulation in depressives with higher blood pressure. Acts via enhancing both serotonergic and glutamate cortical signalling through a 5-HT1A receptor-dependent mechanism. CBD demonstrated non-activation of neuroreceptors CB1 and CB2. Abnormalities in the cannabinoid-1 receptor (CNR1) gene that codes for cannabinoid-1 (CB1) receptors are reported in psychiatric disorders. CBD may relieve anhedonia and depression by its activity on Lipopolysaccharides(LPS). Activating CB2 receptors inhibit the release of proinflammatory factors. CBD treatment resulted in an increase in BDNF expression in the hippocampus and decreased levels of proinflammatory cytokines in the hippocampus (TNF-α) and prefrontal cortex (IL-6). CB1 and CB2 are expressed by human gingival fibroblasts and are upregulated during periodontal inflammation. IL-6, IL-8, and monocyte chemoattractant protein-1 induced by Porphyromonas gingivalis lipopolysaccharide (LPS) in these cells is reduced by anandamide and this effect can be antagonized by AM251 and SR144528. THC and CBD act as anti-inflammatory substances independent of cyclo-oxygenase (COX) inhibition. Ischemia/reperfusion (I/R) is a pivotal mechanism of liver damage after liver transplantation or hepatic surgery. CBD significantly reduced the extent of liver inflammation, oxidative/nitrative stress, and cell death. Myeloid-derived suppressor cells (MDSCs) are one of the main regulatory cells of the immune system. While MDSCs induced by CBD in liver consisted of granulocytic and monocytic subsets at a ratio of ∼2∶1, the monocytic MDSCs were more immunosuppressivecompared to granulocytic MDSCs, so they may help in certain autoimmune conditions. Cannabidiol restores liver function, normalizes 5-HT levels and improves brain pathology in accordance with normalization of brain function. CBD attenuated the bacterial endotoxin-triggered NF-κB activation and TNF-α production in isolated Kupffer cells, likewise the adhesion molecule expression in primary human liver sinusoidal endothelial cells stimulated with TNF-α and attachment of human neutrophils to the activated endothelium. CBD significantly reduced the expression of inducible nitric oxide synthase, cyclooxygenase-2, nuclear factor-κB, Fas ligand and caspase-3, and increased the expression of survivin protein in ischemic/reperfused liver tissue. n glaucoma, the increased release of glutamate is the major cause of retinal ganglion cell death. Cannabinoids have been demonstrated to protect neuron cultures from glutamate-induced death. The effect of THC was in part mediated by the cannabinoid receptor CB1. Although CBD did not reduce intraocular pressure. The endocannabinoid system has been implicated in the regulation of bone metabolism. Cannabinoid ligands regulate bone mass. CB1 and CB2 receptors have a protective effect against age-dependent bone loss in mice. Administration of CBD led to improvement in fracture healing. In humans, polymorphisms in CNR2, the gene encoding CB2, are strongly associated with postmenopausal osteoporosis. Therefore CB2 agonists (like CBD) enhances endocortical osteoblast number helping osteoperosis. CB1 receptor deficiency in aged mice results in accelerated age-dependent osteoporosis due to marked increase in bone resorption and significant reduction in bone formation coupled to enhanced adipocyte accumulation in the bone marrow compartment. Bone loss was also reported in CB2 deficient mice. CBD stimulated mRNA expression of Plod1 in primary osteoblast cultures, encoding an enzyme that catalyzes lysine hydroxylation, which is in turn involved in collagen crosslinking and stabilization. Co-expression of TRPV1, CB1/CB2, NAPE-PLD and FAAH was found in both human osteoclast cultures and in native osteoclasts from human bone biopsies. Activation of CB1 in sympathetic nerve terminals in bone inhibits norepinephrine release, thus balancing the tonic sympathetic restrain of bone formation. A CB2-specific agonist that does not have any psychotropic effects enhances endocortical osteoblast number and activity and restrains trabecular osteoclastogenesis, apparently by inhibiting proliferation of osteoclast precursors and receptor activator of NF-kappaB ligand expression in bone marrow-derived osteoblasts/stromal cells. Recent studies find that at least 18% of adults report receiving insufficient sleep. Adults with chronic sleep loss often report excess mental distress. CBD may help with insomnia as it significantly decreases subjective anxiety and increased mental sedation. REM sleep behaviour disorder (RBD) is a parasomnia characterized by the loss of muscle atonia during REM sleep associated with nightmares and active behaviour during dreaming. In a small study (of 4), CBD is able to control the symptoms of RBD. CB1 receptors are present in mast cells. Activated CB1 receptors present in mast cells suppresses degranulation (by inducing sustained cAMP elevation). Activation of CB2 receptors (like taking CBD) attenuates NGF-induced mast cell degranulation. Sativex (a combination of CBD and THC in equal parts) is approved in Canada for treatment of central neuropathic pain in multiple sclerosis and intractable cancer pain. In patients with GlyR dysfunction, cannabinoids may be effective for treatment of chronic pain. The α3 GlyRs mediate glycinergic cannabinoid-induced suppression of chronic pain. Dyskinesia is a movement disorder that is characterized by involuntary muscle movements, including movements similar to tics or chorea and diminished voluntary movements. CBD decreases the amounts of key enzymes that can cause dyskensia. In mice, when a TRPV-1 was combined with CBD, it reduced the symptoms of dyskensia. There is mounting evidence for therapeutic use of CBD in human neuropathic pain conditions. CBD helps with neuropathic pain. It also has been shown to help with neuropathic pain in Multiple Sclerosis. Activation of peripheral CB2 receptors blocked neuropathic pain. Prevention of microglial accumulation and activation in the dorsal spinal cord was associated with limited development of a neuropathic pain state. It reduced prostaglandin E(2), lipid peroxide and nitric oxide, reducing NOS. Escalated sebum fabrication is seen with an unattractive look and adds to the growth of acne. CBD cream reduced skin sebum and erythema content. Activation of the endocannabinoid system controls the proper and well-balanced proliferation, differentiation and survival, as well as immune competence and/or tolerance, of skin cells. Therefore CBD may be an effective treatment for multiple pathological conditions and diseases of the skin (ie acne, seborrhea, allergic dermatitis, itch and pain, psoriasis, hair growth disorders, systemic sclerosis and cancer). Activation of TRPV4 interfered with the prolipogenic ERK1/2 MAPK pathway and resulted in the downregulation of NRIP1, which influences glucose and lipid metabolism, thereby inhibiting sebocyte lipogenesis. Drug addiction is a chronically relapsing disorder characterized by the compulsive desire to use drugs and a loss of control over consumption. CBD reduced cigarette consumption in tobacco smokers. CBD inhibited the reward-facilitating effect of morphine. It reduced the amount of times rats self-administered heroin. CBD prevented neurotoxicity in rats from alcohol binging. CBD was an effective treatment of cannabis withdrawal syndrome (of THC). Interestingly, CB1 antagonism prevented neurochemical and behavioural deficits induced by chronic PCP. CBD can attenuate both behavioral and dopaminergic neuronal correlates of mesolimbic dopaminergic sensitization, via a direct interaction with mTOR/p70S6 kinase signaling within the mesolimbic pathway. Mad cow disease (bovine spongiform encephalopathy) is a fatal neurodegenerative disease in cattle that causes a spongy degeneration of the brain and spinal cord. The disease may be most easily transmitted to humans by eating food contaminated with the brain, spinal cord or digestive tract of infected carcasses. However, the infectious agent, although most highly concentrated in nervous tissue, can be found in virtually all tissues throughout the body, including blood. A number of abnormal physiological processes occur simultaneously in ALS. Cannabis appears to have activity in all of those areas. Cannabis has powerful antioxidative, anti-inflammatory, and neuroprotective effects (prolonged neuronal cell survival, delayed onset, and slower progression of the disease. Cannabis also has properties applicable to symptom management of ALS, including analgesia, muscle relaxation, bronchodilation, saliva reduction, appetite stimulation, and sleep induction. Anorexia nervosa (AN) has the highest mortality rate between psychiatric disorders. AN has been associated with different alleles of the CB1 gene. CBD effects leptin and ghrelin. Endocannabinoids effect the liver’s ability for: secretion of hormones regulating appetite and satiety (leptin, adiponectin), lipogenesis, adipogenesis, obesity, and insulin resistance via CB1. In AN short-term weight gain is associated with a disproportionately increased leptin secretion. Ghrelin acts as a natural antagonist to leptin. Circulating ghrelin levels are increased in illness-induced anorexia. Ghrelin and endocannabinoids exert orexigenic effects which may facilitate nutritional restoration. The effect of cannabinoids appears to be bi-phasic, as they can stimulate as well as inhibit food intake, depending on the preparation and the dose used. Cannabinoids (mostly THC) was shown to inhibit disease progression through pleiotropic effects on inflammatory cells. Cannabidiol has an immunomodulating effect that helps lessen the progression of atherosclerosis induced by high glucose level. Activation of CB2 receptors inhibited atherosclerotic plaque progression in mice. In animal models, CBD treatment effectively blocked progression of arthritis. Also, because of its anti-inflammatory properties, CBD may also help with rheumatoid arthritis. Asthma represents a public health problem and traditionally is classified as an atopic disease, where the allergen can induce clinical airway inflammation, bronchial hyperresponsiveness, and reversible obstruction of airways. Both CB1 and CB2 receptors are involved in lung protection. The activation of CB1 receptors on bronchial nerve endings has bronchodilator effects by acting on the airway smooth muscle and may be beneficial in airway hyperreactivity and asthma. CBD was able to decrease the serum levels of IL-4, IL-5, IL-13, IL-6,, and TNF-αexcept for IL-10. Autism spectrum disorder (ASD) is a complex behavioral condition with onset during early childhood and a lifelong course in the vast majority of cases. It is characterized by deficits in communication and social interaction, as well as by stereotypic behaviors, restricted patterns of interest, and abnormal sensory issues. Altered neurodevelopment during early pregnancy represents the neuropathological cause of ASD. Alterations in this eCB system may contribute to the autistic phenotype. CBD produced its anti-emetic/anti-nausea effects by indirect activation of the somatodendritic 5-HT(1A) autoreceptors in the dorsal raphe nucleus. Activation of these autoreceptors reduces the release of 5-HT in terminal forebrain regions. Anyway, THC and CBD may help by exerting sedative, hypnotic, anxiolytic, antidepressant, antipsychotic and anticonvulsant effects. Enteric glial cells (EGC) actively mediate acute and chronic inflammation in the gut. GC proliferate and release neurotrophins, growth factors, and pro-inflammatory cytokines. They can amplify the immune response, representing a very important link between the nervous and immune systems in the intestine. CBD can control activation of enteric glial cells. CBD reduced the expression of S100B and iNOS proteins. Cannabinoids can affect both the activity and the expression of TRPV1-4 channels in the gastro tract. Cannabinoids may be a useful therapeutic administration route for the treatment of colonic inflammation. Technical: CB1 and CB2 receptors reduce the increase of intestinal motility induced by inflammatory stimuli. Dysfunction of the endocannabinoid system may contribute to the development of migraine attacks. Activation of ECS can reduce migraine attacks. Anandamide (AEA) potentiates 5-HT1A and inhibits 5-HT2A receptors. It significantly reduced the NTG-induced neuronal activation in nucleus trigeminalis caudalis. Diabetic retinopathy is a leading cause of blindness among working-age adults. CBD inhibited p38 MAP kinase in the diabetic retina. Marijuana (including CBD and THC) use is also associated with lower levels of fasting insulin and HOMA-IR (homeostasis model assessment of insulin resistance), as well as a smaller waist circumference. In both humans and mice, blocking CB1 can increase insulin sensitivity. Oxidative stress and inflammation play critical roles in the development of diabetes and its complications. CBD reduces ROS, neurotoxicity, inflammation, and BRB breakdown in diabetic animals (by inhibiting p38 MAPK). It also lowered the incidence of diabetes in young non-obese diabetes-prone female mice. CBD can also be used to retard β-cell damage in type 1 diabetes. THC may serve a protective role against hyperlipidemia and hyperglycemia in diabetic. There is an increased risk of acute pancreatitis (AP) among type 2 diabetic patients. CBD significantly improved the pathological changes of mice with AP. CBD attenuated myocardial dysfunction, cardiac fibrosis, oxidative/nitrative stress, inflammation, cell death, and interrelated signaling pathways. IFN-gamma, IL-12 and TNF-alpha was lowered, IL-4 and IL-10 was increased. CBD also attenuated the high glucose-induced increased reactive oxygen species generation, NFκB activation, and cell death in primary human cardiomyocytes. Cannabidiol and O-1602 showed anti-inflammatory effects in mice with AP and improved the expression of GPR55 in the pancreatic tissue as well. The hypothalamo-neurohypophyseal system plays a role in homeostasis under a variety of stress conditions, including endotoxemia. CB1 receptor is expressed in the hypothalamus and the pituitary gland, and its activation is known to modulate all the endocrine hypothalamic-peripheral endocrine axes. The endocannabinoid system modulates rewarding properties of food by acting at specific mesolimbic areas in the brain. ECS dysregulation has been associated with the development of dyslipidemia, glucose intolerance and obesity. Pathological overactivation of the ECS contributes to weight gain, reduced sensitivity to insulin and glucose intolerance, and blockade of CB1 receptors reduces body weight through increased secretion of anorectic signals and improved insulin sensitivity. 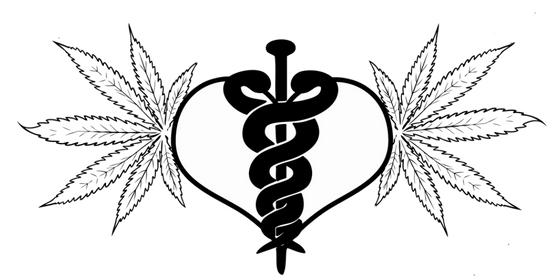 CBD is beneficial in the cardiovascular system. It protects against the vascular damage caused by a high glucose environment, inflammation or the induction of type 2 diabetes in animal models. In vivo, CBD treatments protect against ischaemia-reperfusion damage and against cardiomyopathy associated with and without diabetes. Also, CBD has been shown to reduce infarct size and increase blood flow in animals after stroke. It can also normalize blood pressure. CBD influences the survival and death of white blood cells, white blood cell migration and platelet aggregation. CB1-mediated cardiodepressor and vasodilator effects of endogenous anandamideblocks its hydrolysis can normalize blood pressure. Vasodilation is mediated by endothelium-derived nitric oxide, endothelium-dependent hyperpolarization, and also through activation of TRPV1 receptors. Cisplatin is one of the most potent chemotherapy agents available to treat various malignancies. Nephrotoxicity is a common complication of cisplatin chemotherapy, which involves increased oxidative and nitrosative stress. Treatment of mice with cannabidiol markedly attenuated the cisplatin-induced oxidative/nitrosative stress, inflammation, and cell death in the kidney, and it improved renal function. Recreational cannabis use in adults with epilepsy is widespread. Severe childhood epilepsies are characterized by frequent seizures, neurodevelopmental delays, and impaired quality of life. Epilepsy is the most common neurological disorder, with over 50 million people worldwide affected. Endocannabinoids and their receptors are altered by epileptic seizures. 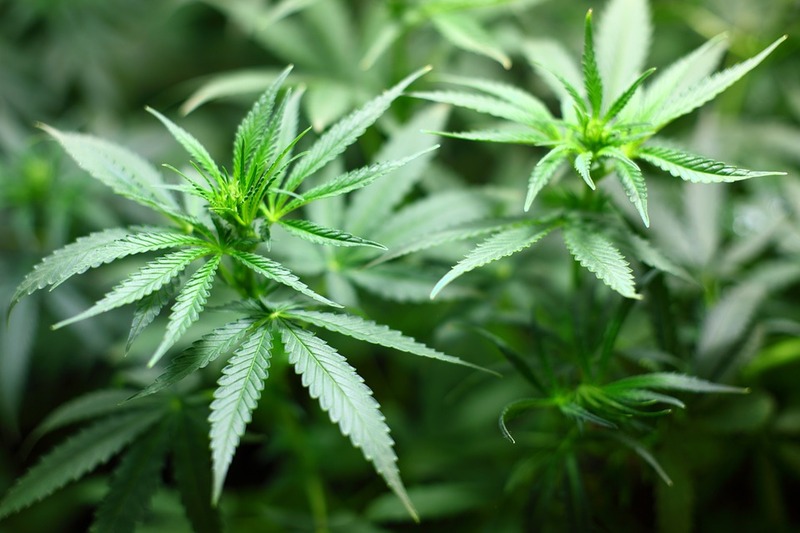 Studies suggest using Cannabidivarin may be effective for treatment of epilepsy. In a double-blind, placebo-controlled trial, CBD was able to reduce seizures in drug-resistant epilepsy. In one study, 4 of the 8 CBD subjects remained almost free of convulsive crises throughout the experiment, 3 patients demonstrated partial improvement in their clinical condition, and was ineffective in 1 patient. In another study, 7 out of the eight epileptics receiving CBD had improvement of their disease state at 200-300mg/day. Although in another study, CBD did nothing at doses of 200-300mg/day for epilepsy. So, CBD may only be effective in 3 types of epilepsy: grand mal, cortical focal, and complex partial seizures. Cannabidivarin (CBDV) and cannabidiol (CBD) exert anticonvulsant activity in vivo and produce TRPV1-mediated intracellular calcium elevation in vitro. CBDV antiepileptiform effects in the Mg2+-free model are not uniquely mediated via activation of TRPV1. There were correlations between reductions of seizure severity and mRNA expression of Fos, Egr1, Arc, Ccl4 and BDNF in the majority of brain regions in the CBDV+PTZ treated group. Motion sickness and stress in humans are associated with impaired endocannabinoid activity. Enhancing ECS signaling may represent an alternative therapeutic strategy for motion sickness. In mice, CBD inhibited obsessive-compulsive behaviour in a time-dependent manner. Cannabidiol was able to reduce food intake in rats. THC or a THC/CBD combination drug may produce weight loss and may be a useful therapeutic for the treatment of obesity and its complications. It may even help weight loss in diabetic patients. CBD may be useful in the prevention of obesity as it promotes browning of white adipocytes, augmentation of lipolysis, thermogenesis, and reduction of lipogenesis. CBD enhanced expression of a core set of brown fat-specific marker genes (Ucp1, Cited1, Tmem26, Prdm16, Cidea, Tbx1, Fgf21, and Pgc-1α) and proteins (UCP1, PRDM16, and PGC-1α). Increased expression of UCP1 and other brown fat-specific markers contributed to the browning of 3T3-L1 adipocytes possibly via activation of PPARγ and PI3K. CBD increased protein expression levels of CPT1, ACSL, SIRT1, and PLIN while down-regulating JNK2, SREBP1, and LPL. The downregulation of CB2 receptors has been reported in the brains of PD patients. Therefore, both the activation and the upregulation of the CB2 receptors are believed to protect against the neurodegenerative changes in PD. THC may be able to delay the progression of PD and symptoms by activating CB2 but blocking CB1 receptors. CB2 agonism was able to attenuate induction of proinflammatory cytokines and inflammatory mediators in ROT-challenged rats. It also prevented depletion of glutathione concomitant to reduced lipid peroxidation and augmentation of antioxidant enzymes: SOD and catalase. CBD may exert its major protective effect by regulating glial influence to neurons. Also, it may be effective, safe and well tolerated for the treatment of the psychosis in PD. eCB signaling has been identified as a modulator of adaptation to stress. CB1 dysregulation plays a role in PTSD. Cannabinoids might play a role in fear extinction. Synthetic cannabinoids were able to block fear in PTSD. PTSD is associated with a reduction in circulating levels of the eCB 2-AG. n-3 long-chain PUFAs helped regulate fear via CB1 receptors. CBD administration prevents long-lasting anxiogenic effects observed after predator exposure probably by facilitating 5HT1A receptors neurotransmission. Acute stress reverts LTD into LTP in the aBNST. CBD may have anti-psychotic properties. It can ameliorate positive and negative symptoms of schizophrenia. CBD increased serum anandamine levels. Anandamide levels in schizophrenia patients that are negatively correlated with psychotic symptomatology indicate a protective role. Patients with a FEP showed a decreased expression of CB2 and of both endocannabinoids synthesizing enzymes (NAPE and DAGL) in comparison to healthy controls. Neuropathic pain occurs in 50-70% of Multiple Sclerosis (MS) patients. Cannabinoids including the cannabidiol/THC buccal spray are effective in treating neuropathic pain in MS.
Clinical trials, both with synthetic or plant-derived cannabinoids, have demonstrated clinical efficacy of cannabinoids for the treatment of spasticity, neuropathic pain and bladder dysfunction. There was no evidence of tolerance developing with Sativex for MS.
Nabiximols, a cannabis derived based medicine was able to help pain and bladder dysfunction in MS patients. Mice expressing HbS exhibit characteristics of pain observed in sickle cell disease patients. Cannabinoids can attenuate pain in mice expressing HbS. Psoriasis is an inflammatory disease also characterised in part by epidermal keratinocyte hyper-proliferation. Also, cannabinoid receptor agonists were also able to control dermatitis from allergies. CBD creams helped with itching in patitnets with chronic pruritus. CB1-mediated regulation of keratin 6/16 revealed here also is relevant to wound healing. Cannabidiol and cannabigerol significantly reduced the expression of all the genes tested in differentiated HaCaT cells, by increasing DNA methylation of keratin 10 gene. It reduced keratin 10 mRNA through a type-1 cannabinoid (CB1 ) receptor-dependent mechanism. It increased global DNA methylation levels by selectively enhancing DNMT1 expression, without affecting DNMT 3a, 3b or 3L. CBD was able to improve locomotor functional recovery after rats induced with spinal cord lesions. The use of cannabis has been associated with beneficial effects on some FM symptoms. Though, Nabilone, a synthetic form of CBD, was found to be ineffective in fibromyalgia. Patients with Huntington’s Disease (HD) may have neuroinflammation. Although other studies have shown no benefits for the disease. CBD is neuroprotective in rats subjected to long-term brain injury. It protected agaisnt neuronal death induced by stroke. It also increased cerebral blood low to the brain and reduced the cerebral injury in mouse models. Was in bell shaped curve, activated through the serotonergic 5-HT1A receptor. Cannabinoids possess anti-proliferative and pro-apoptotic effects and they are known to interfere with tumour neovascularization, cancer cell migration, adhesion, invasion and metastasization. Induces apoptotic cell death in human T24 bladder cancer cells. CBD is able to produce antitumor activity both in vitro and in vivo. It is able to limit tumor invasion. It inhibits the invasion of glioblastoma cells in vivo. Combined with a TRPV2 agonist, CBD increases drug uptake while potentiating cytotoxic activity in brain cancer cells. Cannabinoid-loaded microparticles enhanced cell death and decreased cell proliferation and angiogenesis in brain cancer cells. Of the 5 natural compounds tested, CBD is the most potent inhibitor of breast cancer cell growth. It down-regulated Id-1 gene expression in aggressive human breast cancer cells in culture. In colorectal carcinoma cell lines, CBD protected DNA from oxidative damage, and reduced cell proliferation. CBD-induced apoptosis was CB1 and CB2 receptor-dependent. Endocannabinoids are able to inhibit cell growth, invasion, and metastasis of thyroid tumors. Via regulation of adenylyl cyclase, cAMP-PKA pathway and MAPK signaling. Also, thymocytes and EL-4 thymoma cells were susceptible to CBD-induced apoptosis. CBD reduced proliferation and induced apoptosis in those infected by the virus. It inhibited expression of vGPCR, GRO-α, VEGFR-3, the VEGFR-3 ligand, and VEGF-C. Although, CBD did not affect the efficiency with which KSHV infected endothelial cells. CBD induces apoptosis in human leukemia cells. CBD treatment led to a significant decrease in tumor burden and an increase in apoptotic tumors in vivo. Via acting through CB2 and regulation of Nox4 and p22(phox) expression. It also induces PRAR-γ-dependent apoptotic cell death in human lung cells. AEA induces cytotoxicity against human melanoma cells. It does this by COX-2 and LOX-derived product synthesis and CB1 activation (and possibly GPR55 activation). Cannabinoids, especially CBD, are potent inhibitors of prostate carcinoma viability in vitro. Cannabinoids can also help with side effects pain from cancer and chemotherapy.